Van Halen have gone to the dogs. 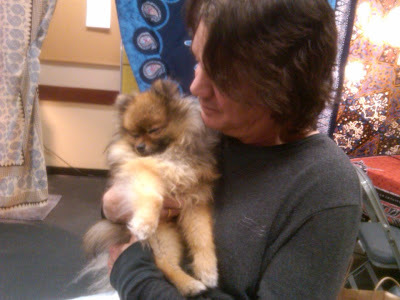 Now, Kody Van Halen has his own Facebook page. The site is filled with tales (tails?) 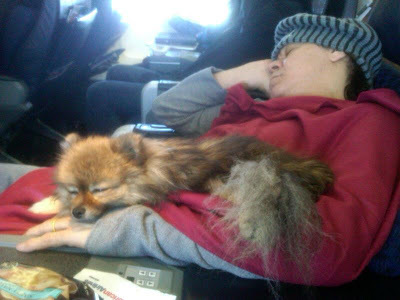 and images of the Pom on tour with Eddie, including plenty of shots of the two of them catching naps on the road. Almost 2 years old, Kody is currently on his first North American tour, and was cool enough to bring the band along with him.